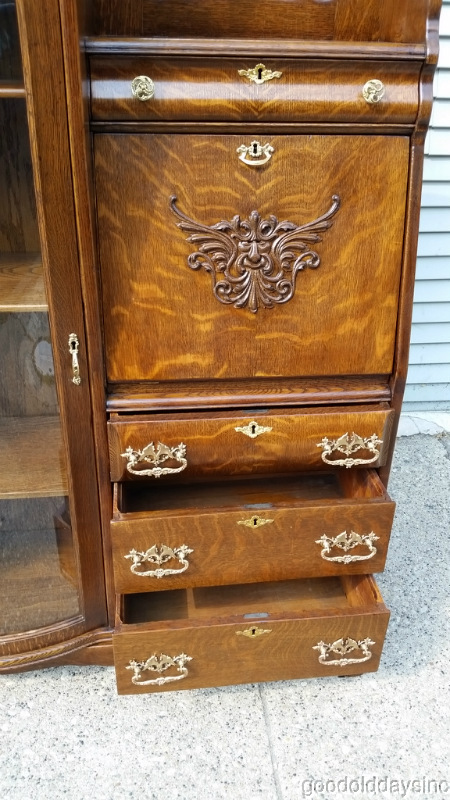 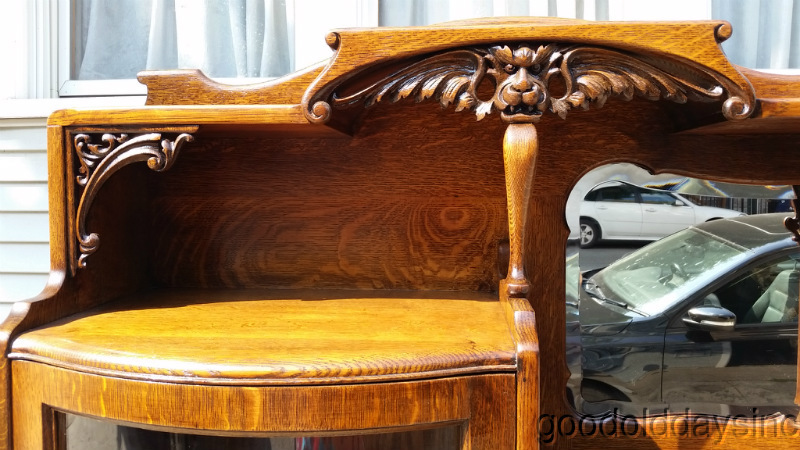 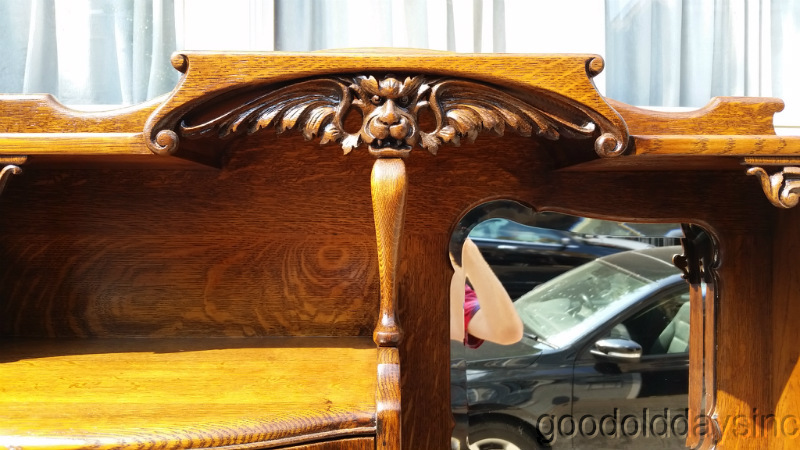 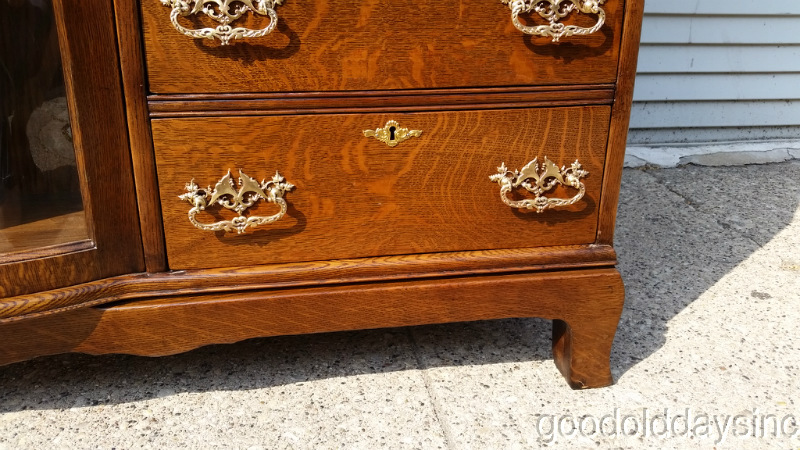 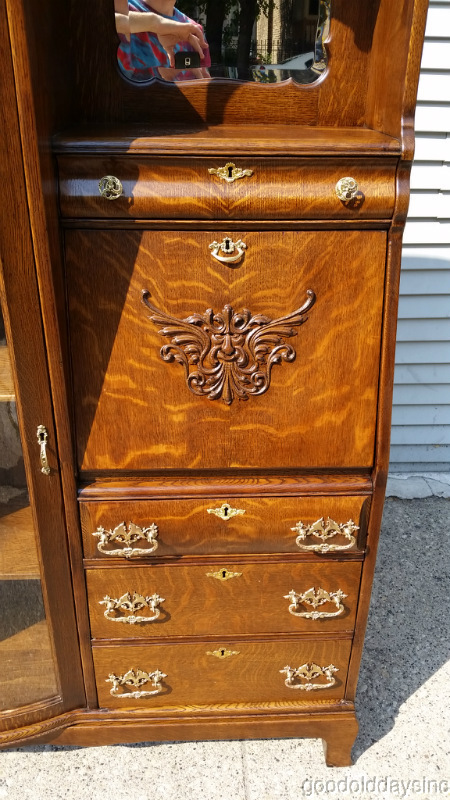 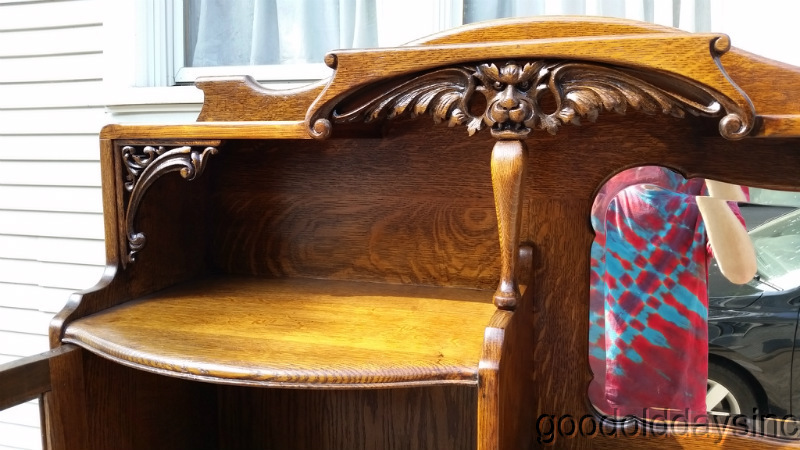 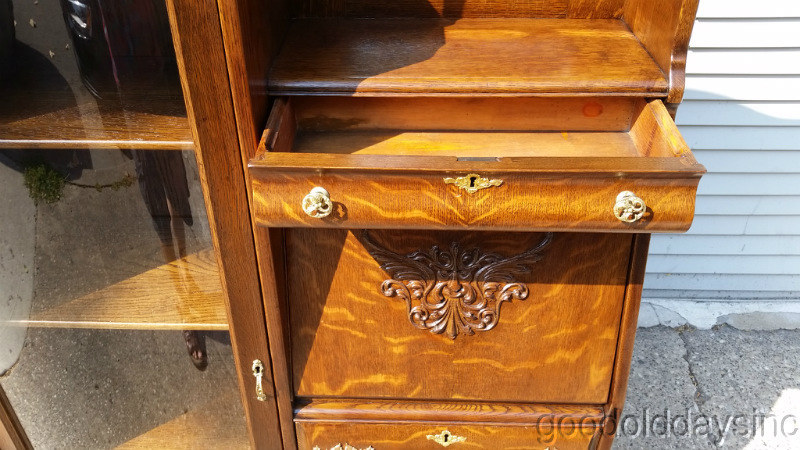 Here we have a solid oak secretary desk with a detailed griffin head. 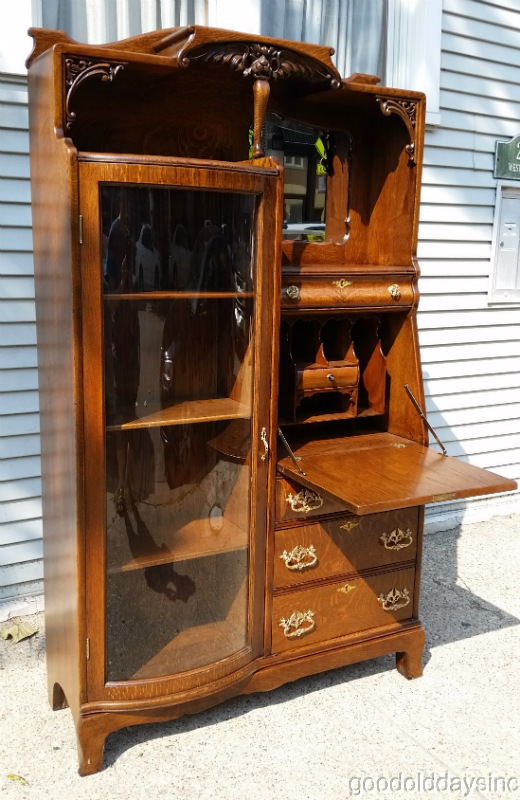 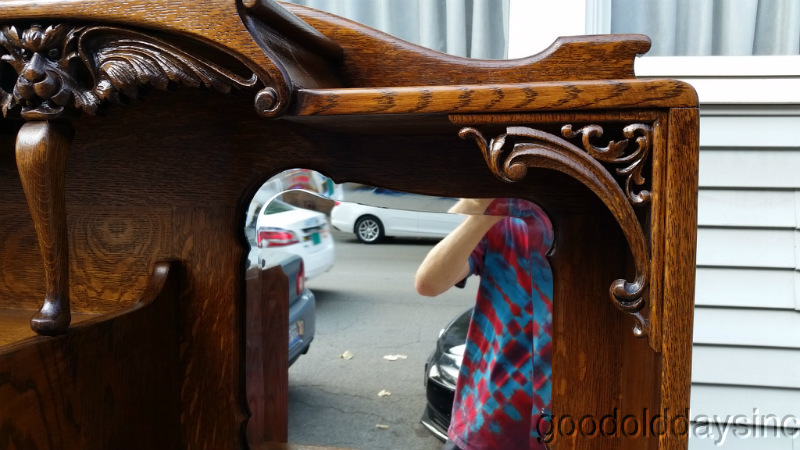 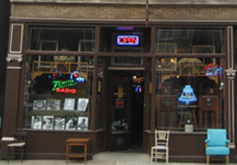 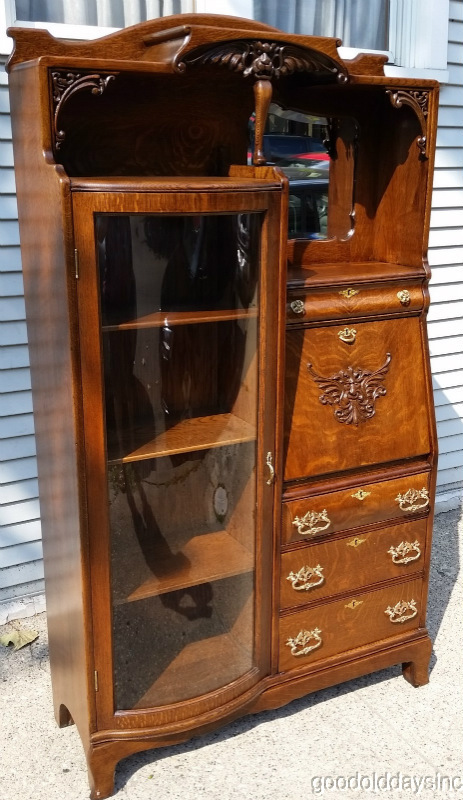 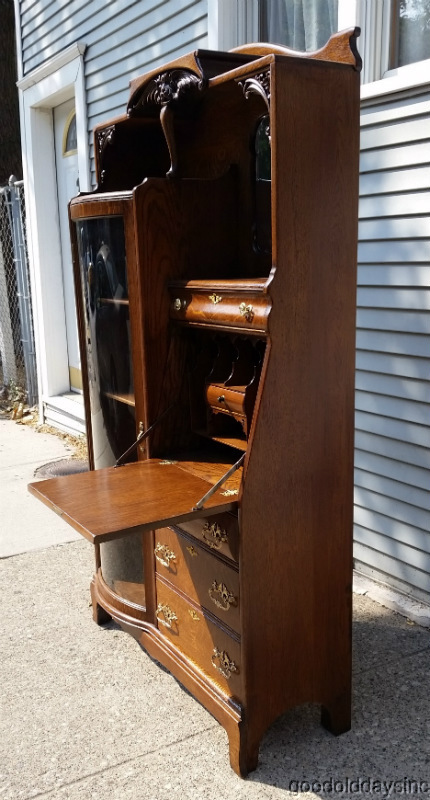 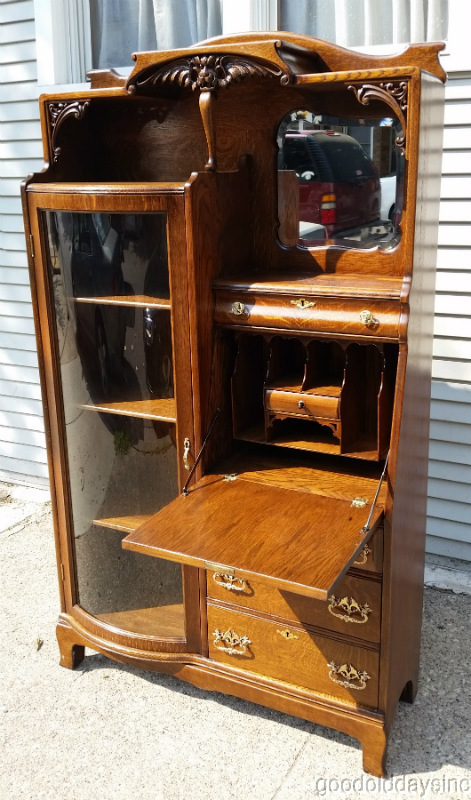 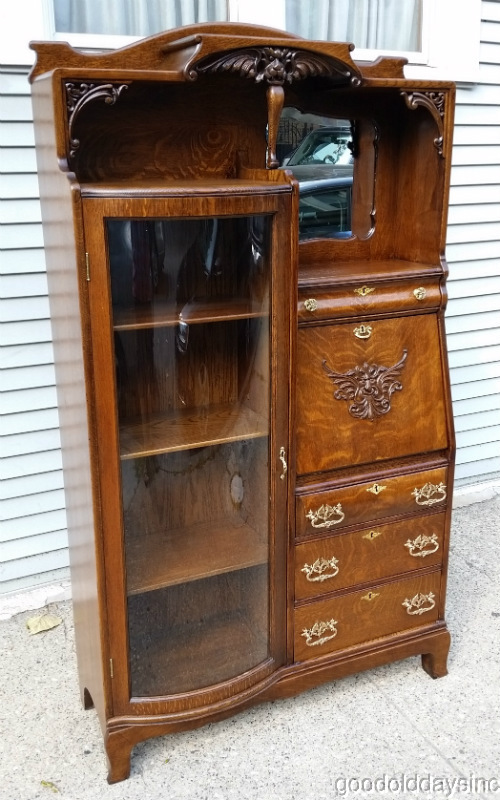 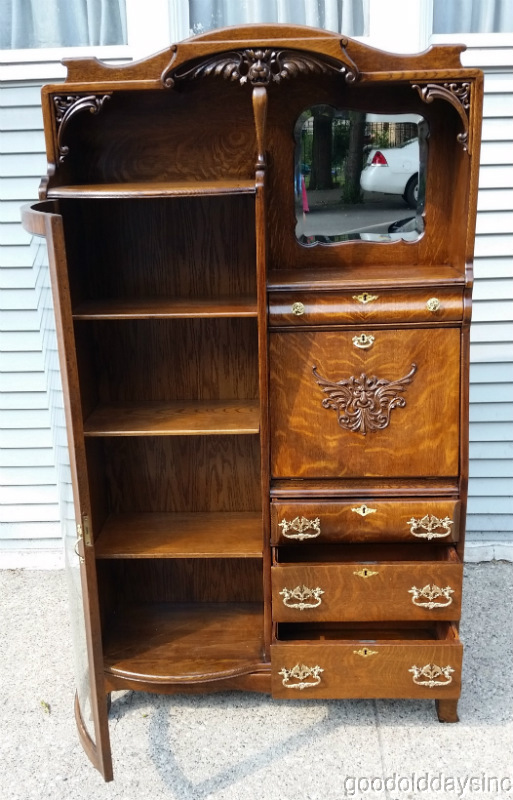 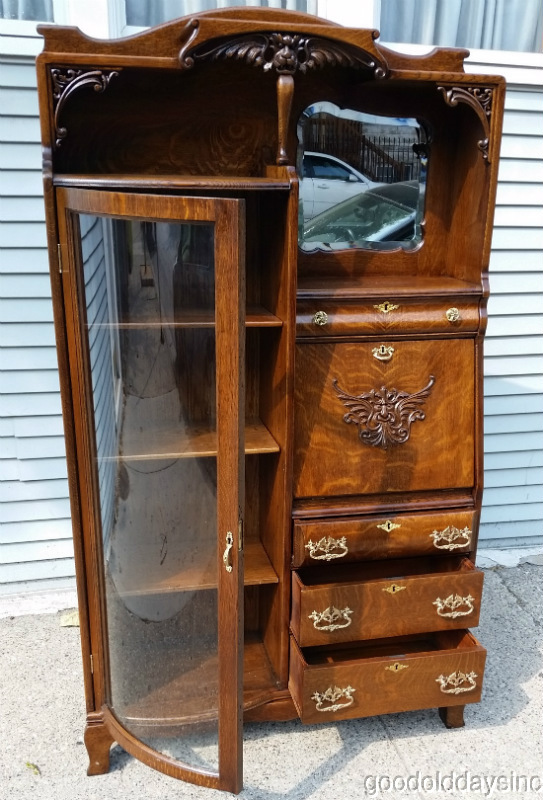 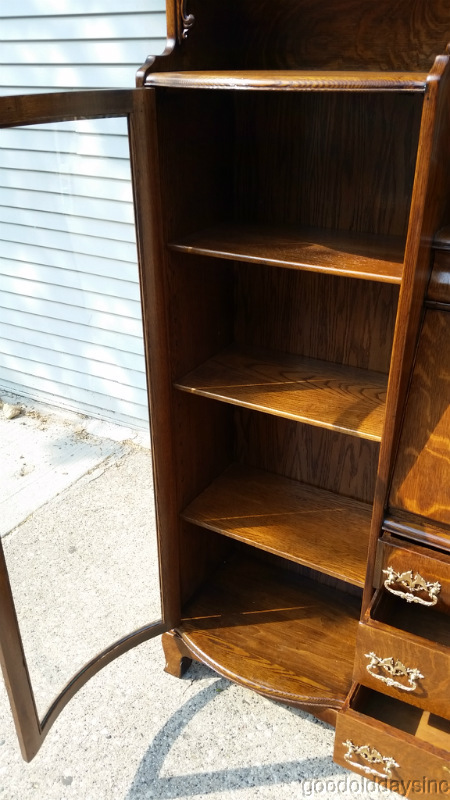 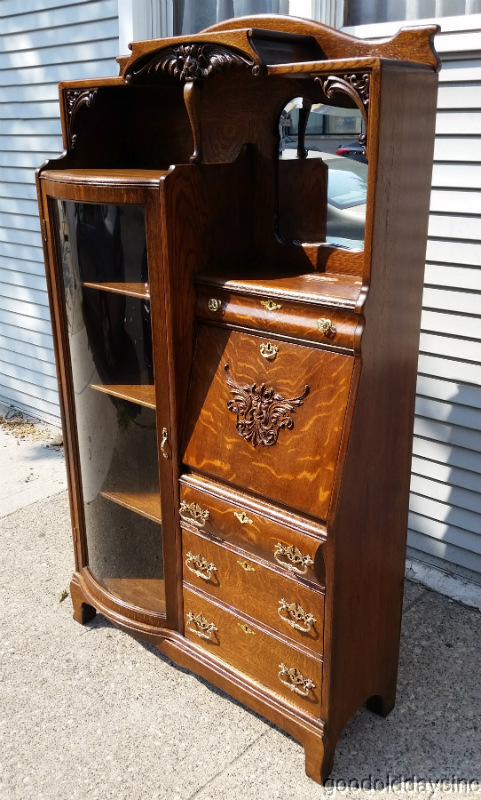 Dating to about 1895 it is a side by side with a curved glass bookcase on the left and four drawers with a drop down writing surface/desk on the right. 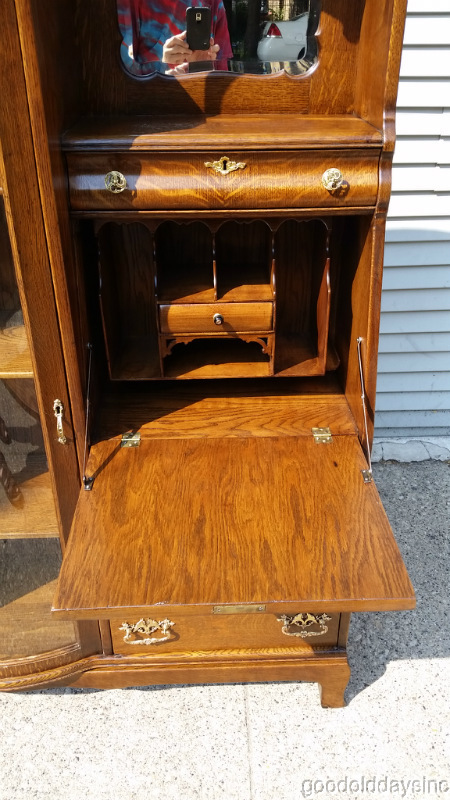 It has cubbies and a small drawer inside the desk. 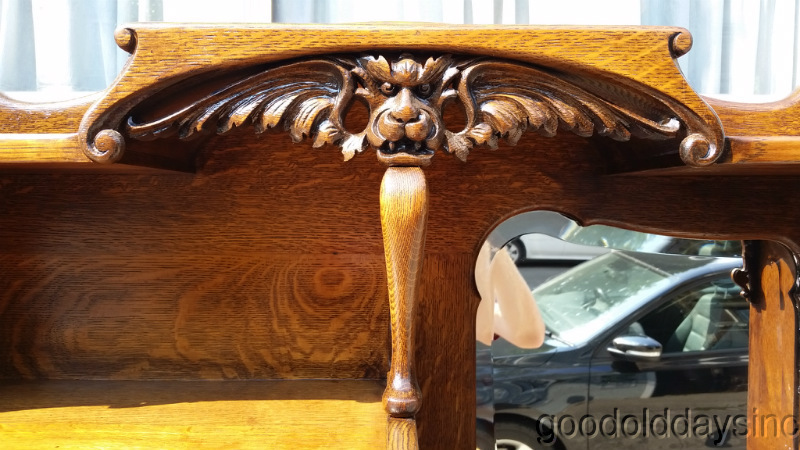 The top of the piece features a heavily carved griffin head flanked by outspread wings. 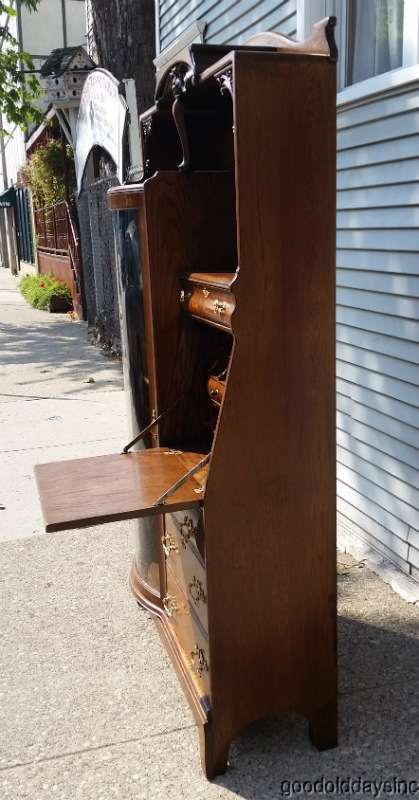 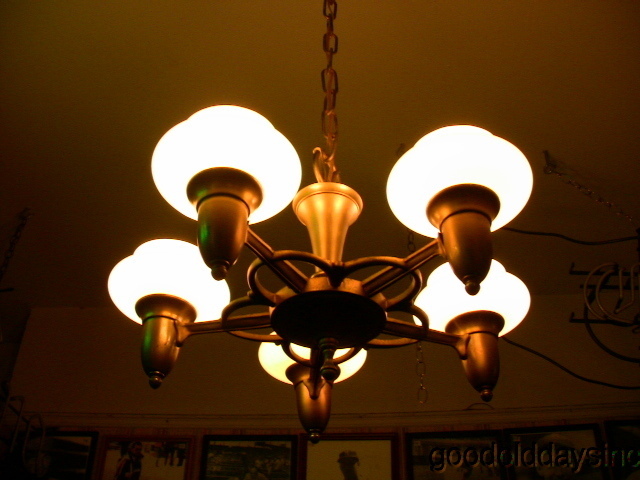 All the hardware is brass. 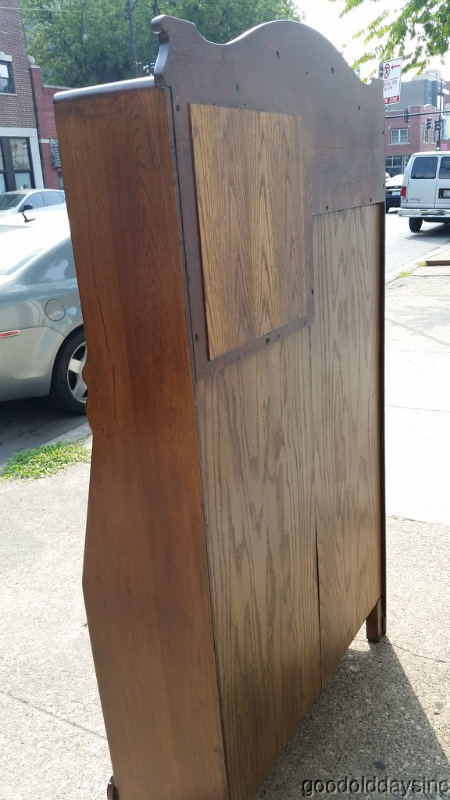 Overall it measures 41 1/2" wide x 72" tall x 15 1/2" deep(front to back).